Today I want to talk about a product that I received in my December Glossybox (http://www.glossybox.co.uk/). This is the first hair care product I have blogged about and I think it’s a good place to start because I love using this product. (Please note the picture shows the sample size product, not the size you would get if you purchased this). I was really pleased to see this in my Glossybox because my hairdresser uses these products and the first time she used one on my hair I remember thinking how amazing it smelt. 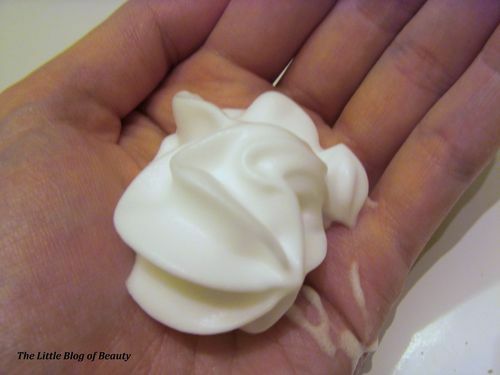 I have never used a mousse product before and have to say this is probably because I was a bit scared of them! In the past I haven’t been very adventurous with hair products, possibly because my hair gets greasy so easily and I used to wash it every day and I worried that using products like this would just make it greasy quickly. But I am much more adventurous now and I know that I should probably try experimenting with mousse as my hair could really do with some extra volume. So this is like any other mousse product (well as far as I’m aware, like I said I’ve never actually tried mousse before) you squirt some in your hand, apply it to your wet hair and comb through. One of the best things about this product is the smell which is just gorgeous. It smells (and looks) just like Mr Whippy ice cream. So the hardest thing about using this product is making sure you don’t slip into a daydream where you’re on a gorgeous sunny beach somewhere or having fun in the park with friends or family and find yourself licking away at this before you remember what it really is! As soon as I apply this to my hair I can see some extra volume and strangely (I say strangely but how would I know, as I said I’m a mousse virgin) it seems to dry my hair slightly, as in it’s not quite as wet as it was before I put it on (rather than in terms of making it brittle). This makes your hair feel soft, the smell lingers for a while after you have applied it and it has been designed to prolong your colour (which is obviously fab for non-naturals like me). This also won best leave-in conditioner at the Hair Awards 2012. At around £12-£14 (depending on where you purchase this from) it is quite pricey but it is probably worth this just for the amazing smell. 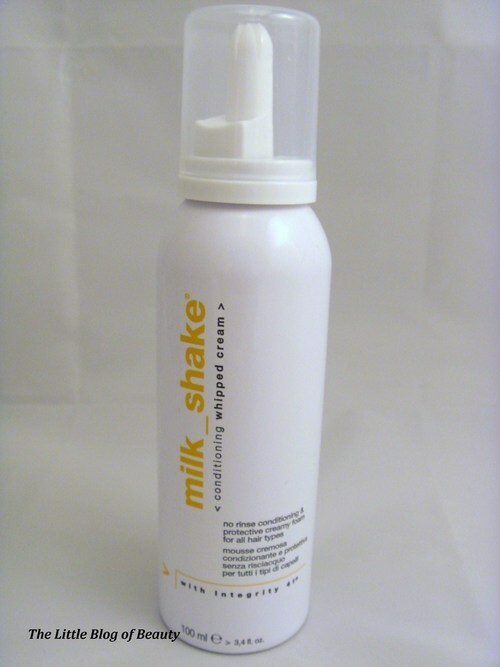 Milk_Shake Conditioning Whipped Cream is available from Feelunique.com http://www.feelunique.com/ for £12.15 for 200ml.